Boasting a hot tub on your patio and a balcony with both garden and ocean views, K-Bay 7 is just a 2-minute walk from Korora Beach. 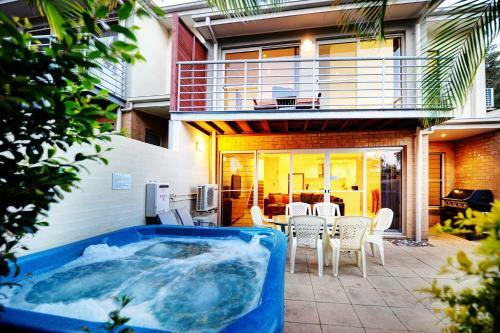 4.5-star apartment in Korora with free parking Located in Korora, K-Bay 7 is by the ocean and convenient to Solitary Island Aquarium and Big Banana Coffs Harbour. Book your stay at K-Bay 7 and get advice on accommodation options in Coffs Harbour from Lonely Planet's independent on-the-ground travel writers.